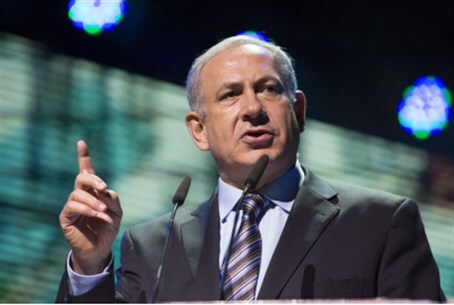 Prime Minister Netanyahu's promise follows the Supreme Court's ruling on how to handle the illegal infiltrators. "I am determined to continue to lead the government operations in dealing with infiltrators," Prime Minister Binyamin Netanyahu declared on Monday evening regarding the Supreme Court's decision that jailing illegal infiltrators is "unconstitutional". The court gave the state 90 days to review the cases of 1,750 illegal infiltrators currently being held in detention centers, and to set most of them free. Another estimated 55,000 illegal infiltrators currently live freely in Israel. Netanyahu stressed that while respecting the decision of the Supreme Court, he intends on finding a solution along with the Minister of the Interior and the Attorney General to "allow the implementation of policies determined by us and return the thousands of infiltrators." The panel of nine justices ruled Monday that Israel’s 2012 law in which courts are allowed to jail illegal infiltrators for up to three years without trial violates Israel's Basic Law concerning Human Dignity and Liberty. In its decision, the court argued that the 2012 law does not make it easier to deal with illegal immigration. The issue of illegal immigration is a controversial issue in Israel. Whilst there are calls for authorities to take a more compassionate line, others point out that the massive influx of immigrants - most of whom are economic migrants, as opposed to refugees fleeing war or persecution - is unsustainable and potentially destabilizing for as small a country as Israel.